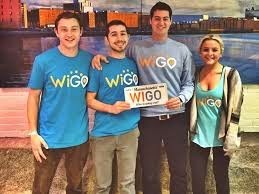 Wigo Left to right: Tyler Swartz, Giuliano Giacaglia (CTO/cofounder), Ben Kaplan (CEO/cofounder), Claire Uhar Since September, an app called Wigo, the brainchild of 23-year-old college dropout Ben Kaplan, has become the hottest thing on college campuses. But the thing that's making kids go wild for this app is that they can’t just download it and use it. They have to really, really want it, getting hundreds to thousands of their schoolmates to sign up on a waiting list. Only then will Wigo “unlock” the app at their school. “People say that Wigo is similar to YikYak, but the only thing we have in common with YikYak is that college students love using it. We like to think of it as LinkedIn for colleges. It takes the network effect,” Kaplan told Business Insider. Wigo even has what’s known as school ambassadors, college kids that wrangle others to sign up for the app until the school hits the magic number to be unlocked — somewhere around 5% of the entire college population. Making college kids wait has turned out to be pure genius. The app has only been widely available since September and it has been downloaded and requested at over 1,200 campuses, is in use at 73 schools and has over 100,000 active users. Better still, the Wigo team just raised their first major round of venture funding, landing $1.4 million at a valuation of $14 million, Kaplan tells us. Its backers and advisors are a who's who and include Paul English, founder of Kayak; Kevin Colleran, Facebook’s first sales guy; Tinder cofounders Sean Rad and Justin Mateen; and other famous names, like Vince Wilfork, Pro-bowl lineman for the Patriots. This is all happening even though the app has no revenue — it doesn't even have a business model yet. At some point, the team will work on that, perhaps via discounts and services from local businesses who'd like college students to come and party at their venue, Kaplan says. “All my friends were asking the same questions, every Thursday, Friday, Saturday night: who is having a party? Which bar are we going to meet up? It was a big cluster of frantic text messages, maybe some Facebook events that were kind of lame and outdated just to figure out, where are we going? Who is going out?" He decided to build an app himself called Who Is Going Out (Wigo) for his school. The only problem was he's not a programmer. Still, he spent the summer designing the app, then borrowed money from his parents and hired a programmer. “I launched it at my school. Within 3 weeks, half school using the app,” he says. That was about 13 months ago in January 2014. The local papers wrote about it and that led various people in the tech industry to reach out and offer advice. One of them worked for Kayak and introduced him to Paul English, who had just launched a new accelerator program. “I had to make a decision. Either this goes onto my resume as a fun experience, or I take it to the next level. Paul had built Kayak into a $2 billion company and he was telling me, ‘I see huge potential in what you are doing,'” Kaplan remembers. That gave him the confidence to drop out of college and enter the accelerator. English introduced him to his cofounder Giuliano Giacaglia, another wonder kid. At 21, Giacaglia had graduated from MIT with a masters’s in artificial intelligence/robotics. He had already turned down jobs at Facebook and Microsoft after interning for both. 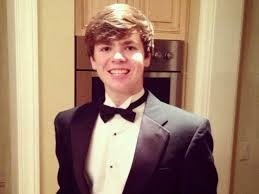 One of them, 19-year-old Tyler Swartz, a freshman at University of Maryland, saw the app when it launched in the app store. He reached out to Kaplan and Kaplan explained about the network effect. Swartz became an “ambassador" for the app. He got his frat brothers and their friends to download it. Within 24-hours, they had hundreds of downloads and unlocked the school. “They called me the Wigo kid,” because he talked about the app so much, Swartz told us. It was a similar story for Claire Uhar who also dropped out of the University of Maryland to help Wigo market the app. All told, the company now employs five people between the age of 19 and their early 20s, four of whom dropped out of college to work there. And it has a growing network of ambassadors such as Andrew Nelson, a freshman at the Gabelli School of Business at Fordham University. “I heard about the app through one of my Facebook friends,” Nelson told us and he called Wigo and asked to be an ambassador. Kaplan called him back and talked to him about his own startup ideas. “It was amazing to know that there was another college kid out there with big ideas who wanted to change something and succeed. It gave me a lot of confidence and hope," Nelson says.